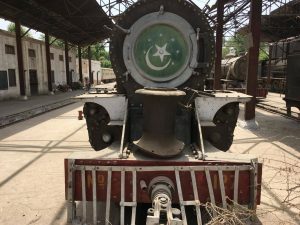 The last tours we ran to Pakistan were in 2004 and 2005, to the Metre Gauge system based on Mirpu r Khas, in Southern Pakistan not too far from Karachi. Broad gauge steam had finished by that time of course – our last trip there was in early 1997. But on certain days of the week, m.g. 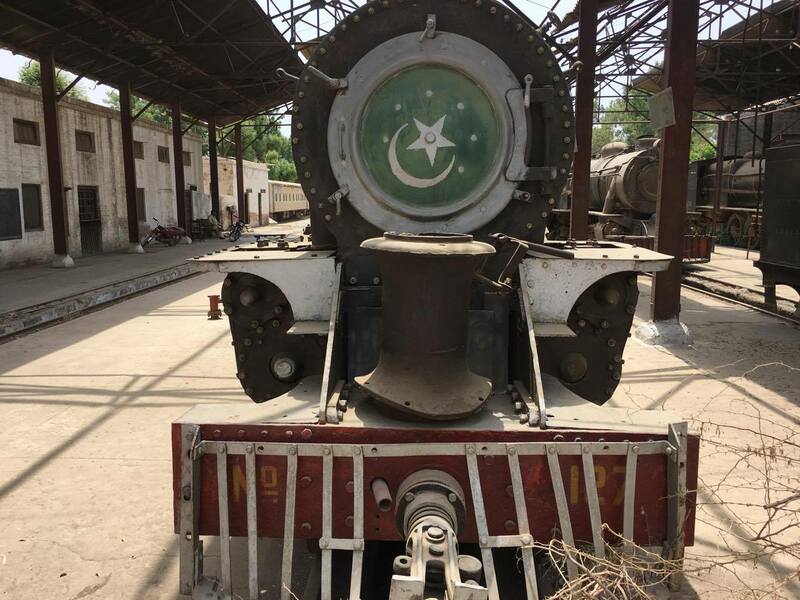 steam continued to the Indian border, to Nawabshah, and on the Jhudo loop. 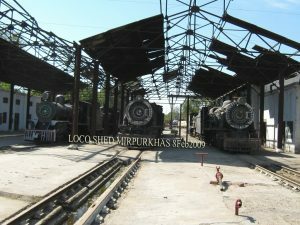 But then the “main line” to the Indian border was converted to broad gauge, and the remaining two lines were abandoned, leaving the locomotives and some stock, “stranded” in Mirpur Khas shed. One would assume that a quick deal would be made with a scrap merchant, so in 2009 I requested the owner of the Central Hotel in Mirpur Khas, to kindly nip down the road to the shed, and take a few photographs, to see if the engines were still there. They were indeed, as the captioned picture (right) shows. There was, of course, no immediate prospect of operating these locos. so I left it at that. A couple of months ago, I wondered what would be the situation now, and so emailed my friend again to do the same thing – and lo and behold, everything is still as it was in 2009 (above, left), except for a little more vegetation, and curiously, SP127 (4-6-0) its chimney has been removed and placed in front of its smokebox. Otherwise, as far as can be determined, everything is in the same position today, in November 2017, as it was in 2009!